In the years surrounding WWI, the basic models of many technologies we use today were invented and introduced en masse. The western world moved from a rural agrarian society to an urban industrial one. The changes were fundamental, monumental and revolutionary. Some organizations anticipated these changes and were able to adapt, but other organizations ignored them at their peril. The iconic British television series, Downton Abbey, provides a glimpse into this period of societal change. 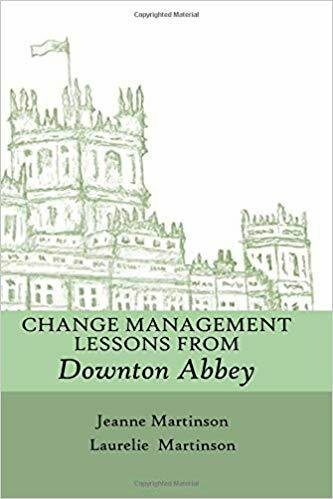 Whether you are a fan of the television series or not, the illustrations in this book provide practical advice to effectively manage technological and cultural change.